There are many questions that pop up when thinking about retirement. From healthcare expenses to applying for Social Security benefits, there are numerous factors to consider. And a retirement plan is not a “set-it-and-forget-it” kind of thing. Things change; there are market shifts, changes in tax laws, and changes in your own life that could have an impact on your plan. 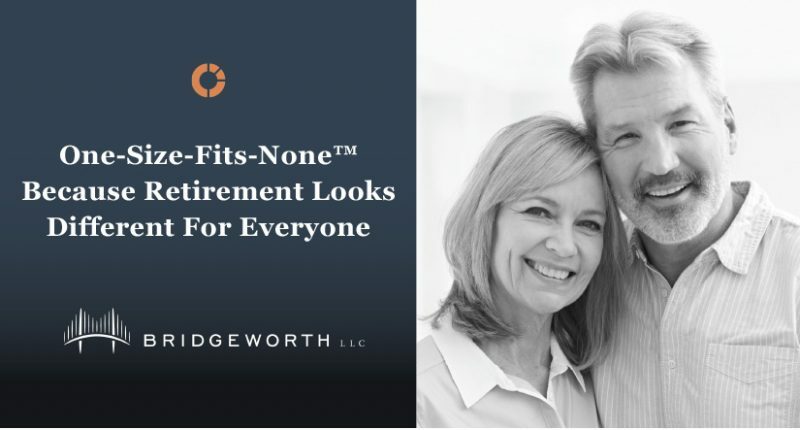 Before you begin planning for your retirement, we invite you to join us for a four-part introductory series on planning for retirement led by Bridgeworth CERTIFIED FINANCIAL PLANNERS™. What makes retirement enjoyable is unique to each person. This session examines the non-financial side of retirement: purpose, relationships, health, etc. Many retirees have questions about how they are actually paid during retirement. This session discusses creating income streams for use during retirement. You have worked hard and saved for retirement. safeguard your earnings and retirement plan. What do you wish to leave for children, grandchildren, or maybe a favorite nonprofit? Leaving a Legacy discusses how to approach this process as well as common mistakes that could prevent you from leaving the legacy you intended. Attend any or all sessions. This series is open to the public and there is no charge. However, seating is limited. To register, email Lynne Monk, office administrator, at [email protected] or call 205.208.8700. Bridgeworth, LLC is a registered investment advisor.